Great News Feeds – Complements of your local PC ! There is no need to turn on your TV or subscribe to a TV service to get up to the date news and Information. Here are some great news sites with content ranging from the international to the bizarre, compliments of your local PC ! Google is rapidly trying to become your 1 source for everything internet. News is no exception. 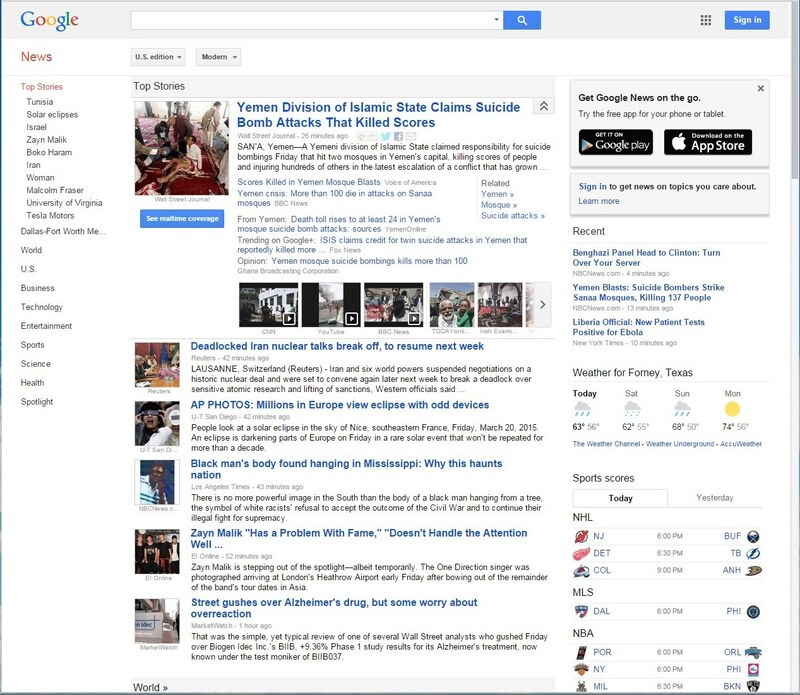 Google News is a news aggregator that, in a glance, allows you to get an idea of news topics from all around the globe. You will find that, over time, Google will tailor your articles to those of interest to you. 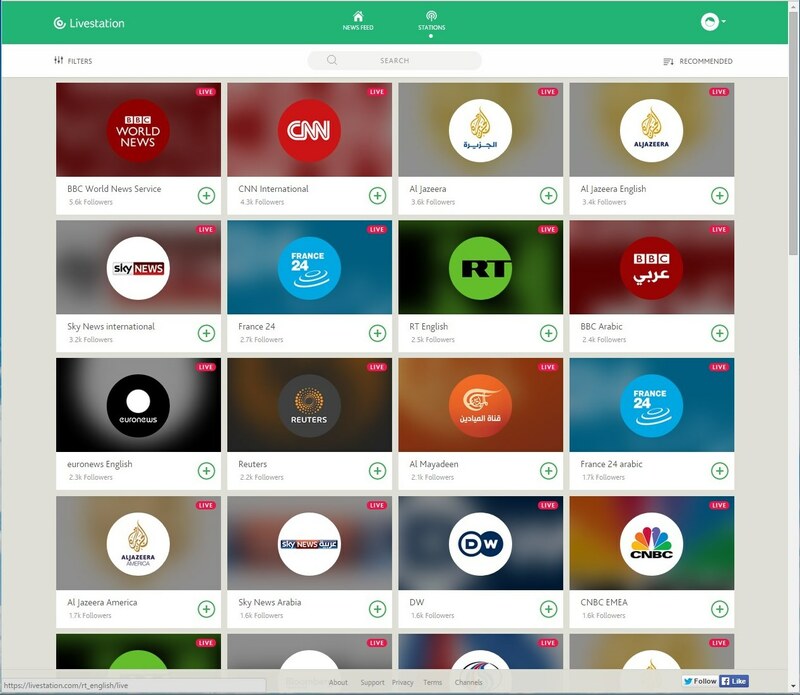 Looking for an alternative to your local TV news channels, Livestation is a great alternative. You will find more than thirty international news channels available right from your browser. 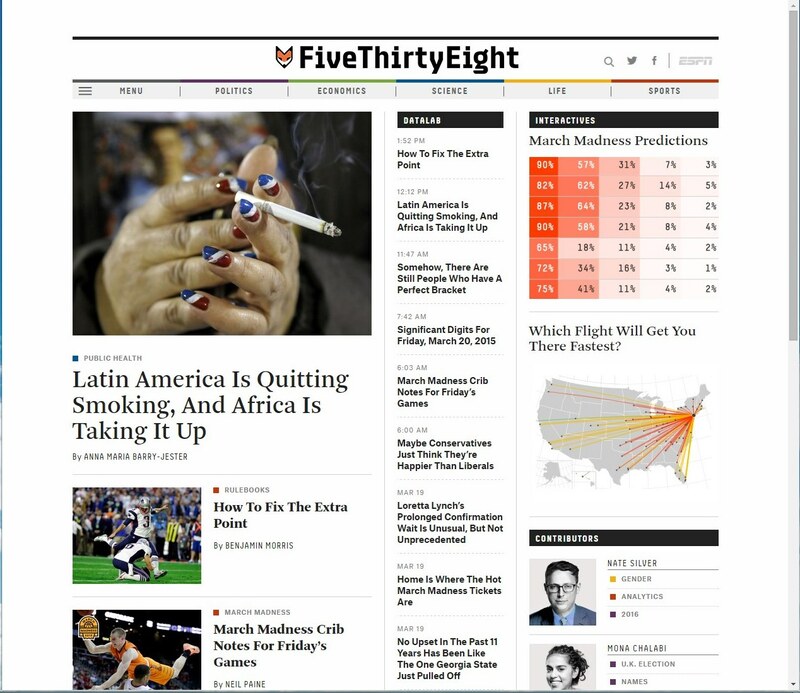 FiveThirtyEight, provides news blogging from a data-centric perspective and provides an interesting alternative to traditional twenty-four hour news networks. Interesting in Political Topics? You will find those plentiful here. 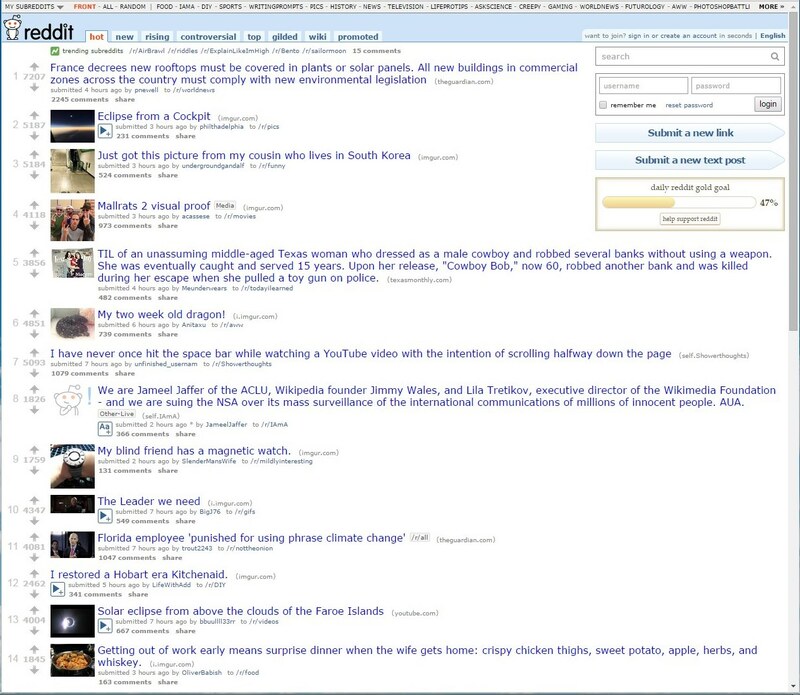 With many different topics, some rather bizare, Reddit is certinly worth a look if your tastes vary from the traditional news you will find on your local TV news network. By controlling your subscriptions, you can access a steady stream of feeds of just the material that interests you. PS: You will also find traditional news topics, both locally and internationally. 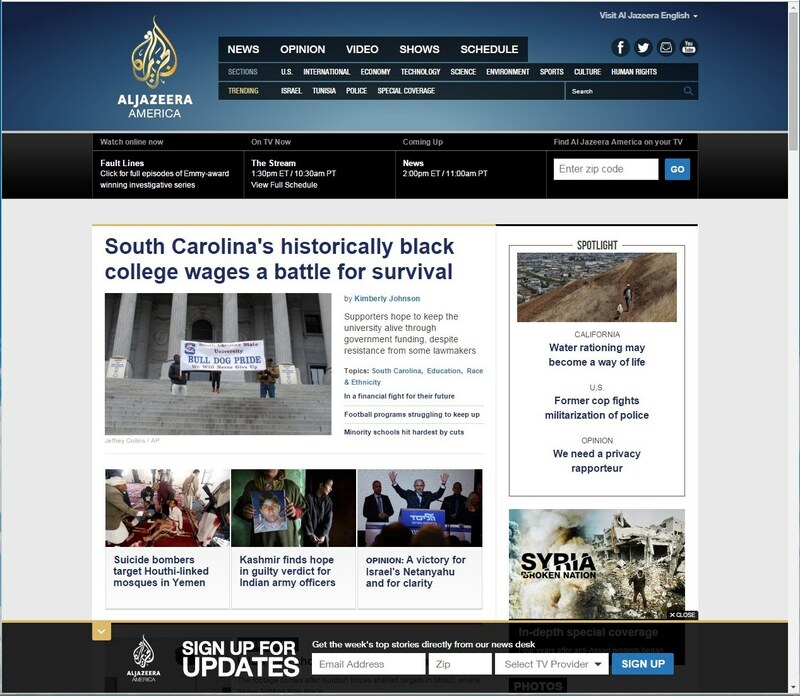 Al Jazeera focuses on international news and provides excellent reporting from around the world. You will find an interesting perspective on topics of international interest. 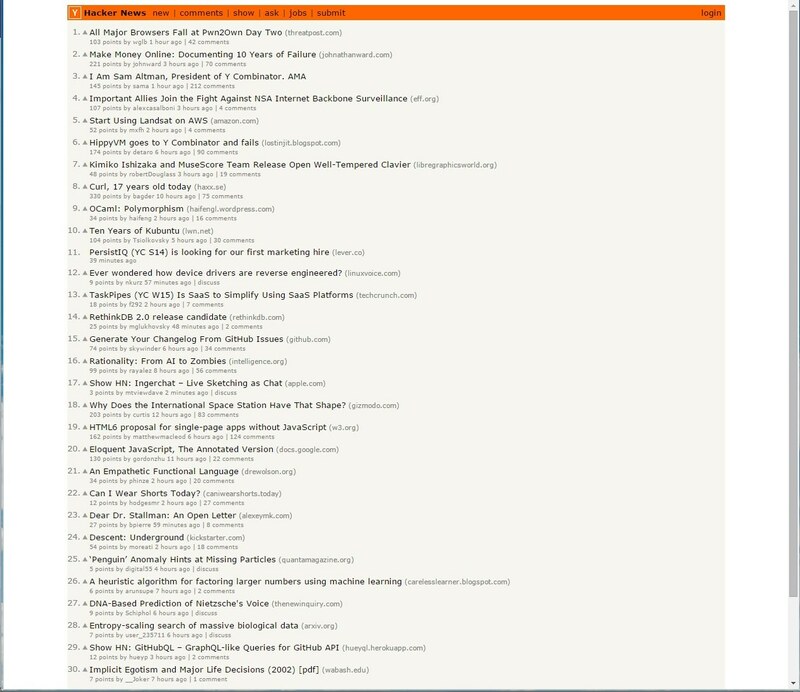 Hacker news relies on it’s tech savvy and involved community to provide a unique and insightful perspective, not available from the traditional tech news sites. 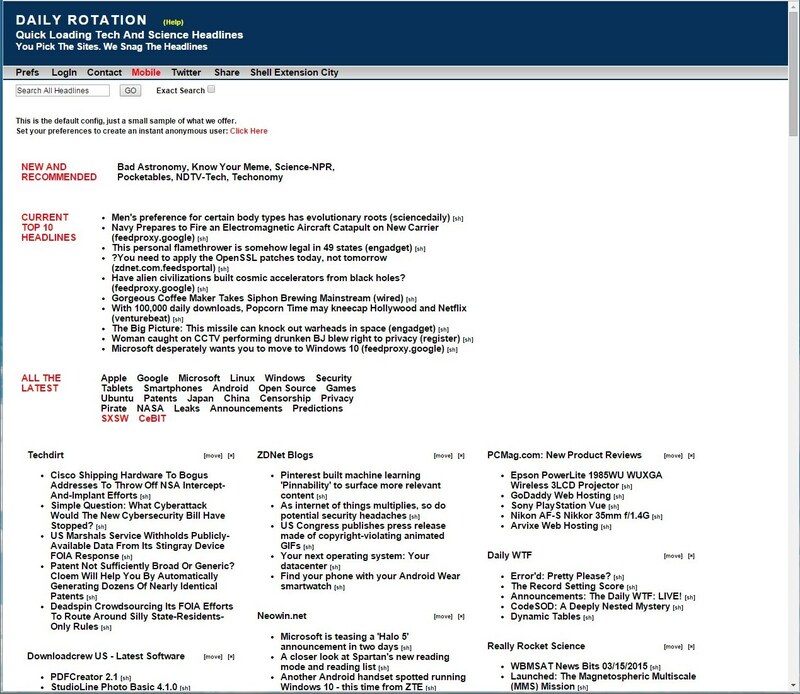 Daily Rotation allows the user to select news sources of particular interest. It then provides top headlines from just those news sources of interest. If you like your news delivered to your PC instead of your TV, you must give one or all of these a try!